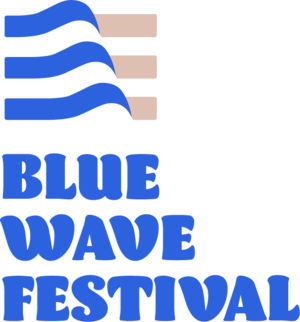 The Blue Wave Festival is on it’s way to help people learn what they can do to take back NY and America from Republican control this November. Being held September 6 at the LGBTQ Center (208 W 13th St) in Manhattan, and the Irondale Center (85 South Oxford St.) in Brooklyn, the festival features activities including voter registration, canvassing lessons, candidate tables, training to help you know your rights postcard writing, and music and food on top of all that. The Blue Wave Festival was born from the 2016 Get Out the Vote Fair which lead to hundreds of New Yorkers canvasing across Ohio, Pennsylvania, New Hampshire, and Virginia. Now the alumni of GOTV are continuing their mission to bring on the Blue Wave in November. Welcome to the resistance. For the lefties, Netroots Nation is sort of like Comic-Con. Young activists get together to drink and talk about what they love most: The upcoming revolution. I remember the upcoming revolution. It was when “we” stopped the Vietnam war in 1968. I remember when future President George McGovern was about to come from behind and beat Trickie Dickie back in 1972. Or When Presidents Anderson or Nader were elected in….when was that again? I know these people. They would put up flyers in Washington Square park advertising cheap bus trips to DC for various protests, that was real. 25 bucks to protest whatever Reagan, Bush or the other Bush, and sometimes Clinton did something that wasn’t pure. In 2001, they had a day trip all the way to Quebec City to protest some international summit. I was teargassed. For real. One more item crossed off the ol’ bucket list. That’s when I got thrown off Daily Kos the first time. I tell truth to power. Bush was bad news for sure. Netroots Nation was their annual jamboree since 2006 as “Yearly Kos” and it was a success. A real success. They actually threw the Republicans out of their congressional majority that year. Not them, we the people. Then two years later we got Obama. I voted for him four times and am glad I did. He beat Hillary after all. Romney too. But Netroots didn’t know how to handle success. Nor did the Democrats. Starting in 2010 they started losing. We lost the house that year and the Senate in ’14. Then came Trump. I warned them not to do stupid stuff or they’d get the Sonofabitch, but they threw me out again, they then did stupid stuff, and we got the Sonofabitch. I’m not saying that I could have saved Hillary, I was as surprised like everyone else. I’m going this year because I want to see if these people have learned their lesson. I want to see if they know WHY they lost last year’s election, and the one before that. The thing is going to take place in Atlanta. They generally have it in a red state to show that they’re reaching out. Which is cool. I’ve only been to Atlanta one day. So why the heck not? The 2017 Netroots Nation will be held on August 10-13, 2017 in Atlanta, Georgia at the Hyatt Regency Atlanta. This convention will be the most diverse event to date, with 69 percent of selected speakers and moderators being people of color. Panels feature activists from across the country, members of Congress, top digital practitioners, and those at the forefront of the latest Resistance efforts. A sampling of panel topics include: Making Congress Listen: How to Transform Trump Anger and Movement Energy into Victories on Capitol Hill, Resistance Through the Courts: Our First Line of Defense Against Trump’s Agenda, Pivoting Left: How We Win by Standing Up for Working Families and Embracing Progressive Values, States Resisting: Working with State Lawmakers to Fight the Conservative Agenda, and Leaving It All on the Field: The Midterm Elections in the Resistance Era. According to the 2010 Census, People of NOT color are 72% of the population. Like I said, it should be interesting to see how they plan to screw it up this time, which would be a shame. The Republicans are evil. On the last day of New York Fashion Week for the 2017 spring season, a new group show made its debut. These were the Journey Fashion Festival shows at Mercedes Club on Thursday September 18th. Journey was envisioned as a new platform for international design to gain further recognition in the US market. Five unique brands comprised of the Uwi Twins, Cristalle, Hightower, Makány Márta and Este & Chlo showed their latest designs at the impressive outdoor/indoor venue located at 550 west 54th st. on this auspicious date. A trio of Latin dancers started off the shows performing to the theme of James Bond. 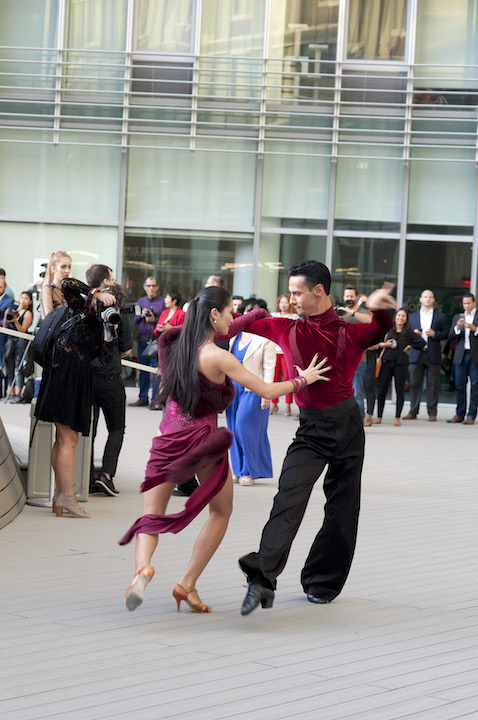 The runway was choreographed unlike any other show this past season with the models crossing and walking in counter concentric circles on the extensive above-ground patio. 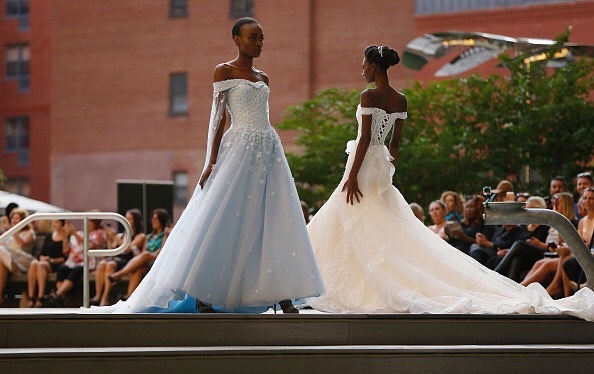 It was a lyrical dance of gowns with over 60 models walking the runway of 3 levels. 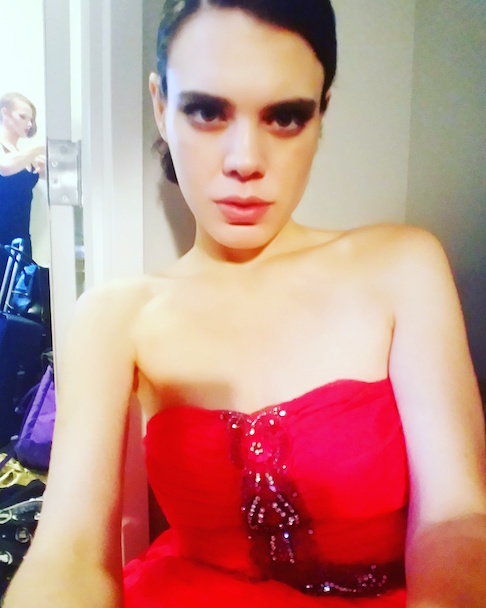 This season’s show included gorgeous gowns from well-respected brand Este & Chlo by creator of the brand Henry Picado, former head designer for Bob Mackie. Edgy design from talented but lesser-known brand Hightower was featured as well. An eclectic Hungarian flair was displayed on barefoot models during the Makány Márta show for the grand finale. In between the different runway shows guests were treated to performances by dancers from the off-Broadway hit Stomp. Journey is the vision of model and entrepreneur Malena Belafonte. The aim is to give high profile international designers the spotlight in the competitive NYC market during fashion week. 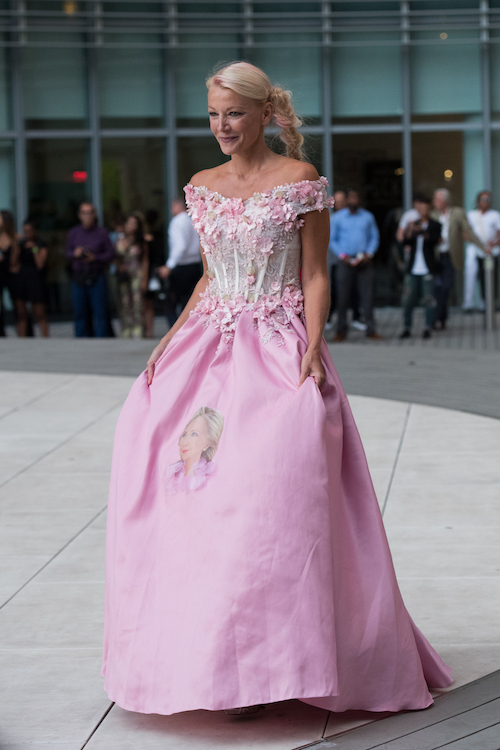 Creator of Journey, Malena Belafonte, modeling a political gown by Este & Chlo. This past festival served as an incubator for a larger show coming this February. Look for more to come. A convergence of 12 major performing arts forums and public festivals titled January In NYC, runs the 5th through Jan. 19th. This annual two-week long celebration of a dozen major performing arts industry forums and public festivals takes place this January 5-19 as performing arts presenters begin gathering in Manhattan for the 59th annual Association of Performing Arts Presenters global conference and marketplace (APAP|NYC 2016), January 15-19. This event draws 45,000 performing arts leaders, artists, professionals and avid fans of dance, theater, music and opera to New York City. More than 1,500 showcases and fully produced performance works featuring world-class performing artists offer a sampling of what’s new and on trend for industry professionals to select from and book in their communities in the coming year and beyond. They share their experience with audiences attending in New York City. In date order, forums and festivals of January In NYC include the following. Locations not included below will be listed on each individual website. Performance venues, conference hotels and meeting rooms in more than 350 locations throughout Manhattan and extending into Brooklyn will host presentations, workshops, performances and showcases. January In NYC grew organically as live arts festivals and professional events were scheduled around the annual APAP conference, building on the concentration of artists and presenters already traveling to New York. In January 2014, nine such organizations formed a deliberate collaboration to more effectively and efficiently serve the performing arts community. A dozen groups now comprise the consortium. Details are available at the January In NYC webpage and individual event websites.